The blood is placed on this device and folded before being heated up and placed on a testing strip. 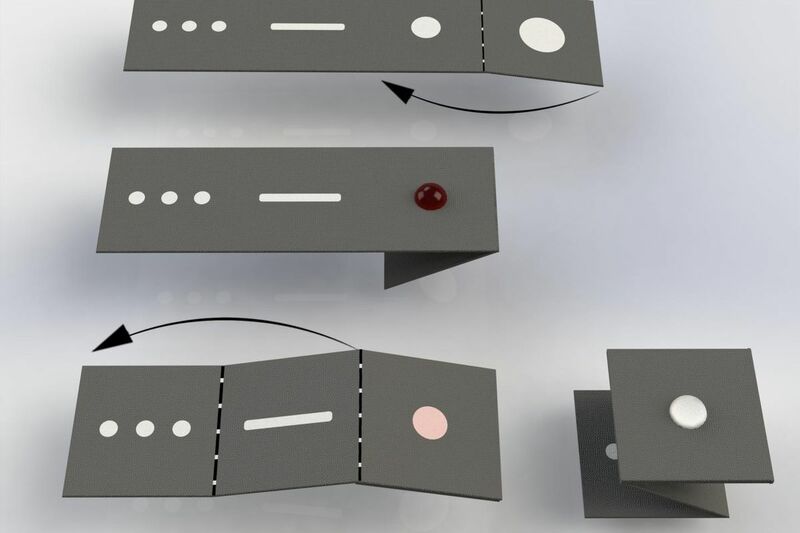 A cheap, origami-like strip of paper accurately detected malaria in 98 percent of cases in a test group of schoolchildren in Uganda. Though paper sensors are nothing new — the most famous examples include some home pregnancy tests — the results from this trial show that such sensors can be promising for helping diagnose disease in rural areas. Malaria is one of the most dangerous infectious diseases in the world, and after decades of progress, the number of cases is rising again, according to the World Health Organization’s 2018 World Malaria Report. (There were 219 million cases worldwide in 2017, compared to 217 million a year earlier.) Diagnosis, especially in remote areas, is one of the challenges of fighting malaria. Symptoms of malaria can resemble other diseases, and without a proper diagnosis, patients could be subject to expensive and unnecessary treatments. There are 15-minute rapid diagnostic tests that use a prick of blood, but these are inaccurate. Meanwhile, more accurate methods require labs and trained technicians. For a study published this week in Proceedings of the National Academy of Sciences, bioengineer Jonathan Cooper at the University of Glasgow created a sensor that doesn’t need fancy equipment and still beat out other methods. The blood is placed on the dark paper, which is folded. The paper is then placed near the testing strips and warmed up on the hot plate. The testing strips will show a positive or negative result. The first step is to put a prick of blood on a special piece of paper that is covered in wax (to control how the blood flows) and specific chemicals (to prepare the blood for testing). Folding the paper in a specific way manipulates the blood so that it’s ready for the next step. The sample is put next to tiny testing strips that can detect the presence of the malaria parasite. Then, the entire thing is sealed with a film and placed on a hot plate for 45 minutes. As the package containing an infected sample heats up, the malaria parasite’s DNA is copied repeatedly, making it easier to detect. If it’s there, the strips will show two red bands. If not, they will only show one. Cooper tested the device on 67 kids, ages six to 14, in the St. Kizito and Mayuge districts of Uganda. (Neither the researcher nor the kids knew beforehand who had malaria.) The origami strip detected malaria correctly in 98 percent of the students that had it. That’s better than other techniques performed by local health care teams, which detected malaria in only about 86 percent of cases. Now, professionals from the Uganda Ministry of Health are considering using the device in rural areas.